Eager to start ripping spines and crushing skulls in Mortal Kombat 11? Well, if you’ve pre-ordered the game, you’ll be able to test it out soon, as the game’s closed beta kicks off next week! The beta includes five Kombatants — Baraka, Jade, Kabal, Scarlet, and Scorpion — character customization, and more! You can check out a trailer for Mortal Kombat 11’s closed beta, below. Players participating in the Mortal Kombat 11 closed beta will experience a preview of the all-new Custom Character Variation System, which will offer nearly infinite customization options to personalize fighters with a variety Skins, Gear, Special Abilities, Intro and Victory Cinemas, Taunts and Brutalities. Gameplay modes offered in the close beta will include online multiplayer matches, along with Towers of Time, a single-player mode where players can test their skills through various challenges, providing more ways than ever to continue the Mortal Kombat 11 experience. In other MK11 news, NetherRealm Studios officially confirmed the Mayan god Kotal Kahn and Jax’s daughter Jacqui Briggs are making their returns. Check them out in action, below. 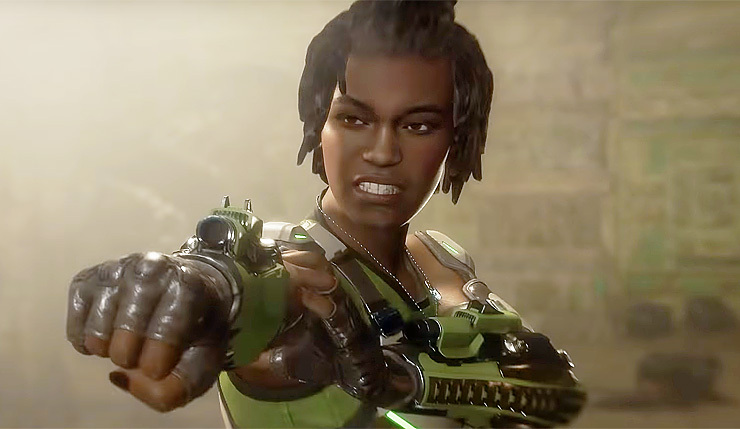 Kotal Kahn and Jacqui Briggs join 14 other confirmed MK11 fighters — Cassie Cage, Erron Black, Scorpion, Raiden, Sub-Zero, Sonya Blade, Skarlet, Baraka, Kano, Kabal, D’Vorah, Jade, Johnny Cage, and new character, Geras. Of course, those are only the ones NetherRealm has officially announced – the game’s entire 28-character launch roster seemingly leaked earlier this month. Get the full roster rundown here. MK is back and better than ever in the next evolution of the iconic franchise. The all new Custom Character Variations give you unprecedented control of your fighters to make them your own. The new graphics engine showcases every skull-shattering, eye-popping moment, bringing you so close to the fight you can feel it. Featuring a roster of new and returning Klassic Fighters, Mortal Kombat’s best-in-class cinematic story mode continues the epic saga over 25 years in the making. Mortal Kombat 11 slices and dices on PC, Xbox One, PS4, and Nintendo Switch on April 23. The closed beta kicks off on March 27 at 8am PT and continues until March 11 (the trailer says it starts on March 28, but I assume that’s just an error). Are you looking forward to testing your might?